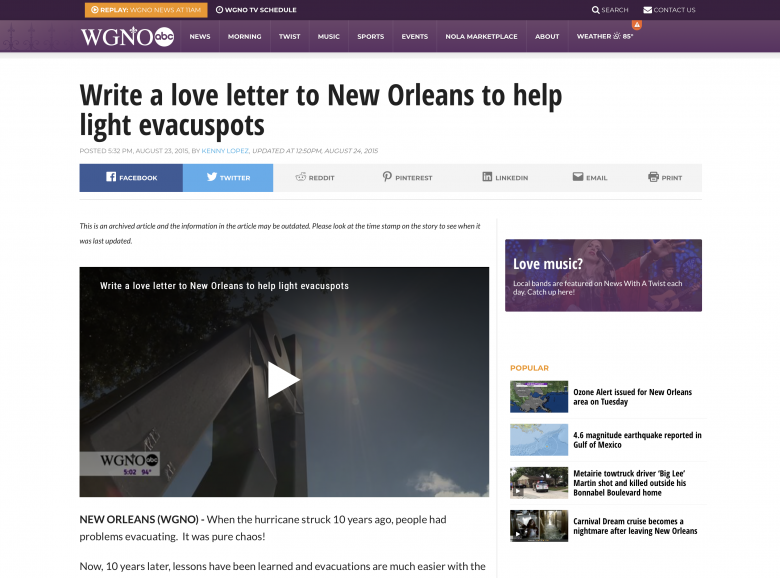 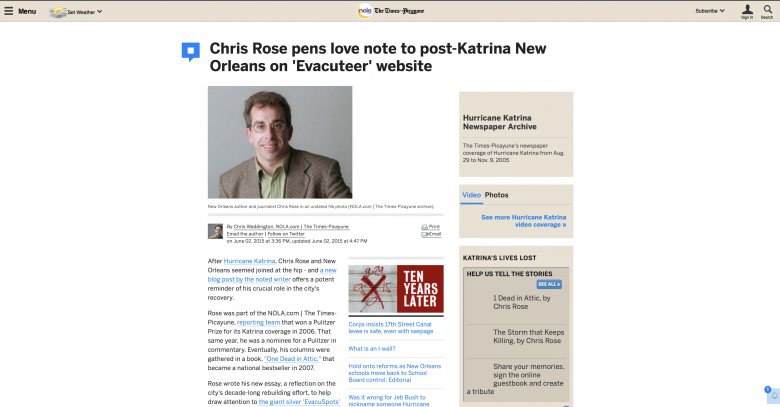 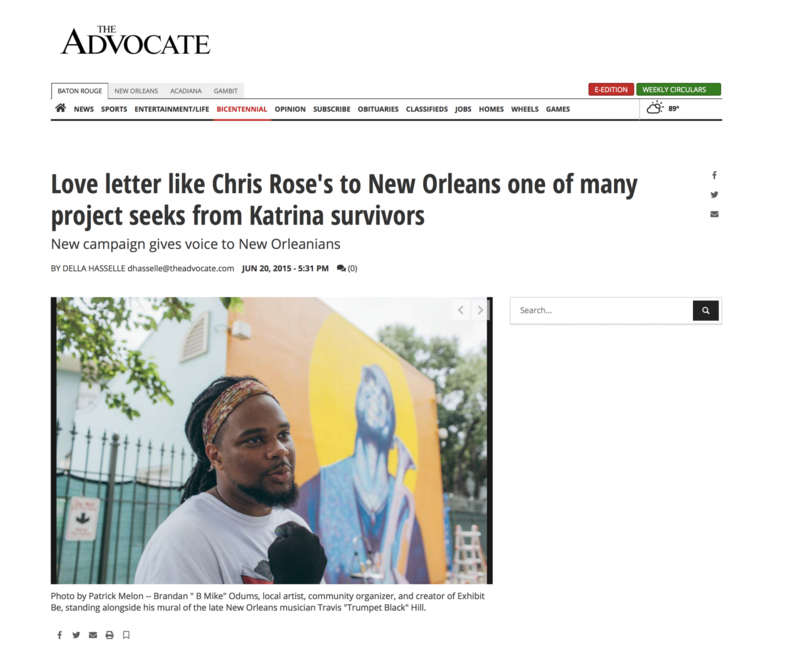 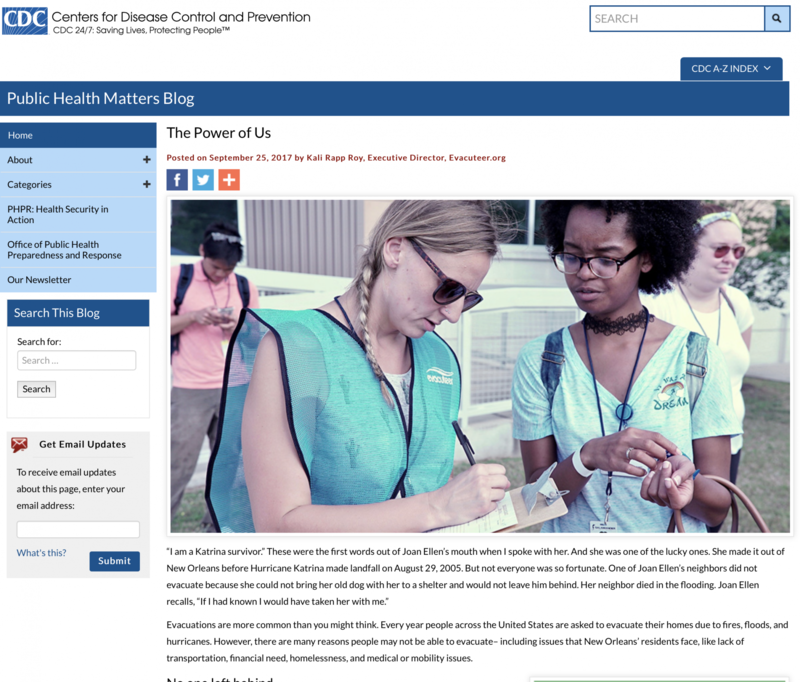 For the 10th year anniversary of Katrina, my team and I partnered with Evacuteer.org (City of New Orleans hurricane preparedness partner) & Dear World to raise money & collect hundreds of love letters to New Orleans. 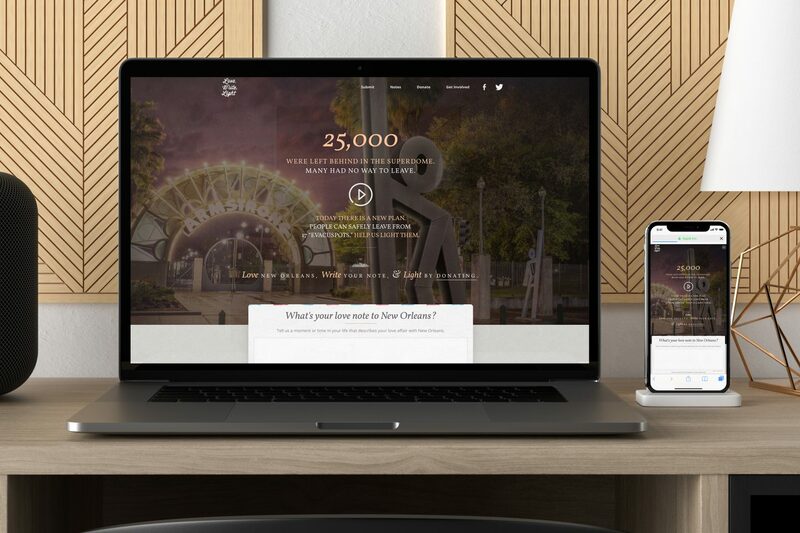 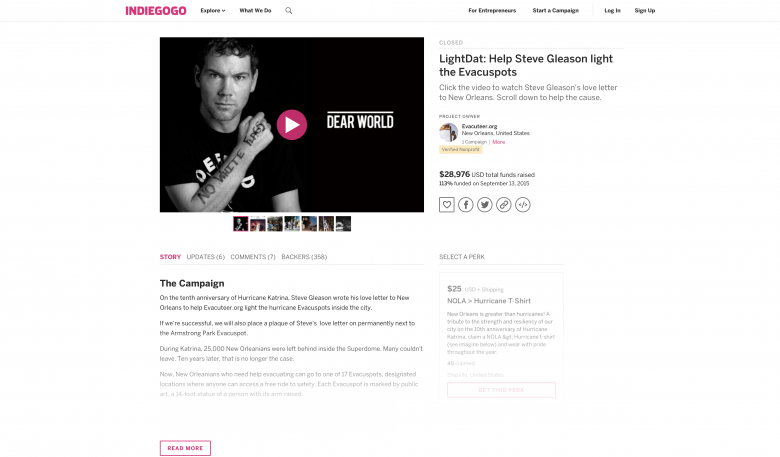 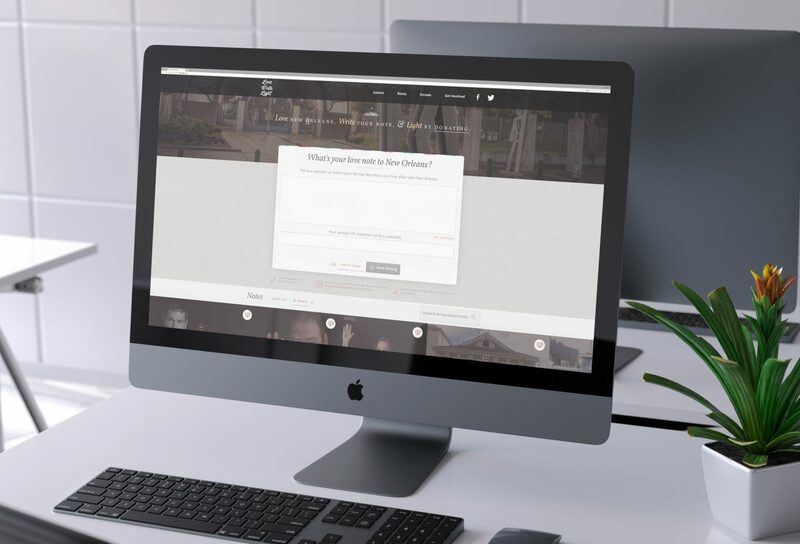 Oversaw design, content, production, & creative direction throughout the project till fund-raising goal of 200K was complete. 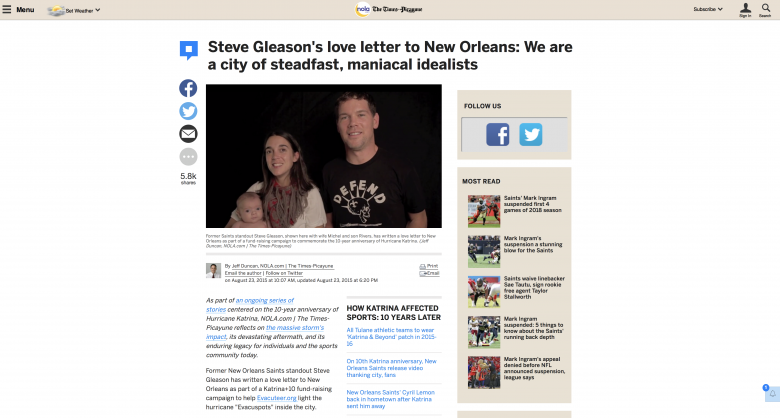 Featuring love notes to New Orleans from Steve Gleason, Archie Manning, Emril Lagasse, Ivan Neville, and many other NOLA legends and beyond.